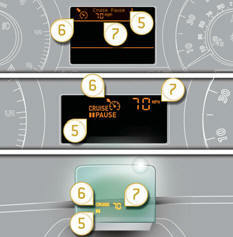 Turn dial 1 to the "CRUISE" position: the cruise control mode is selected but is not switched on (OFF/Pause). 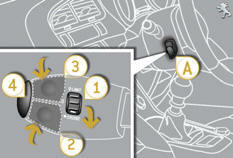 Switch off the cruise control by pressing button 4 : the display confirms that it has been switched off (OFF/Pause). Do not use the cruise control on slippery roads or in heavy traffi c.